This H.VIEW nvr come with 8.0mp resolution, technical skills not necessary , completely Plug and Play device, you only need plug your camera to NVR, then it will automatically configure your camera. This NVR is POE NVR. 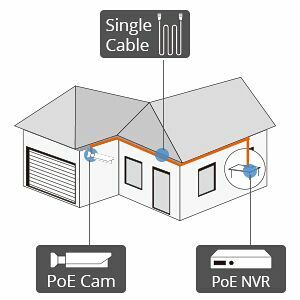 POE allows a Cat5/Cat6 cable to carry both data and power, making it so that you only have to run one cable. You will need either a POE injector, a POE Switch or a NVR unit to power a camera via ethernet. The longest ethernet cable can be extended to 60M, and it will not lose the quality of images and sounds. Installtion is very simple. Just plug the camera into the NVR and you're done. 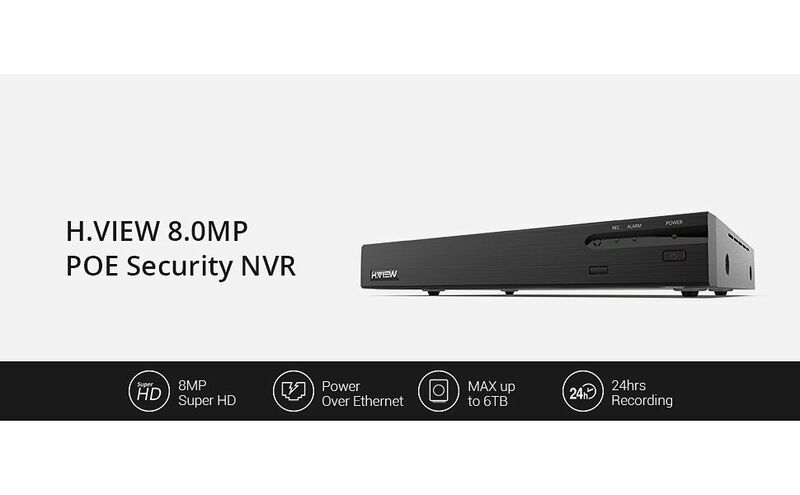 The NVR will power, record, and configure the camera for you. A hard drive is required to store video footage on a NVR. Onced Hard Drive be installed, you can set NVR to record. Record continuously, set a schedule or enable motion detection. 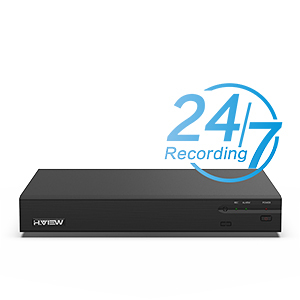 With Recording 24/7 function you can playback all details system captured, Schedule recording can be more convenience for user to playback footages, Motion detection settings allow you to record only when motion is triggered in targeted areas. Download the APP and Client to remotely control the system wherever you are. 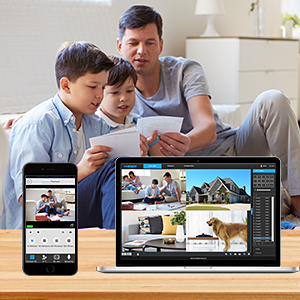 you can monitor your home and business. 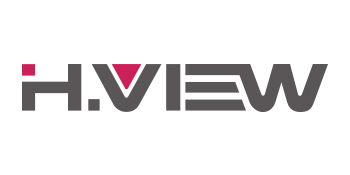 The user interface of the client is designed to be intuitive and easy-to-use.Our technology Team will Update the software according the demand and feedback of customer, we devote to bring convenience and safe app to you. 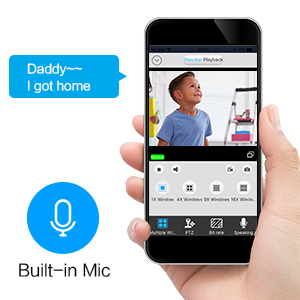 This NVR comes with 4xIPC Audio Input and 1x RCA If the camera which you plugged to NVR built-in Audio, you can hear the voice from the APP, you can also record and playback the audio as well. 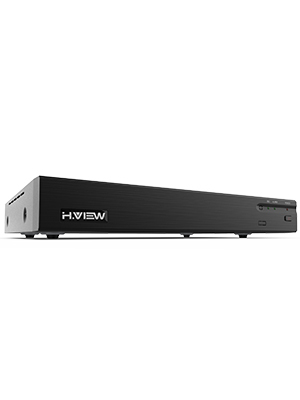 H.View create a system which support Motion Detection, Can Help you Save Hard Drive Storage Space without Missing any Important events. 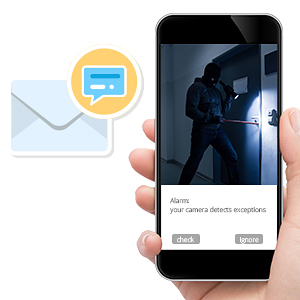 Use the NVR to customize motion detection exactly to your needs: set a perimeter zone, specify which areas of the camera's motion grid are active, and even set a 24x7 schedule for when the alert system is armed or disarmed.